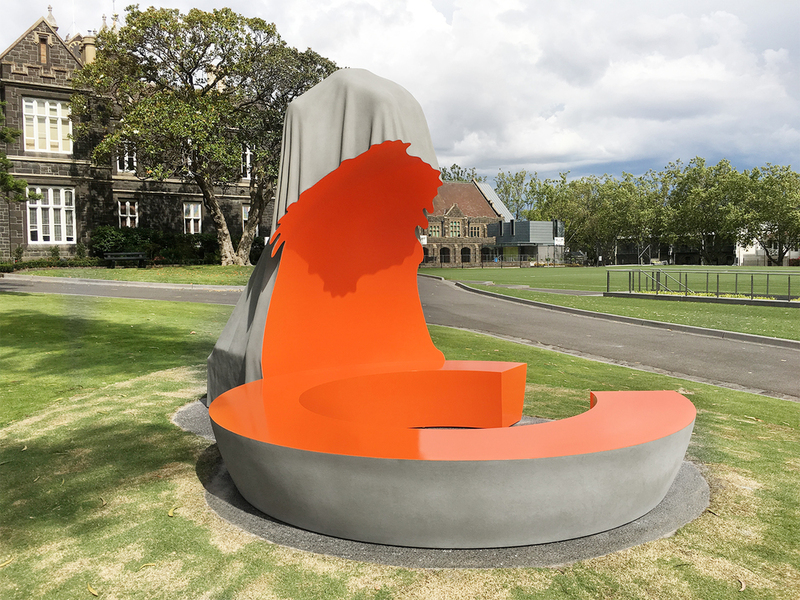 Cover-Up #18 was commissioned by Melbourne Grammar. The Cover-Up hovers somewhere between disappearance and becoming and is a work that remains open and in potential, invested with humour and a quiet politics. Equally this work also opens a symbolic dialogue between the historical city and the city as it is emerging. 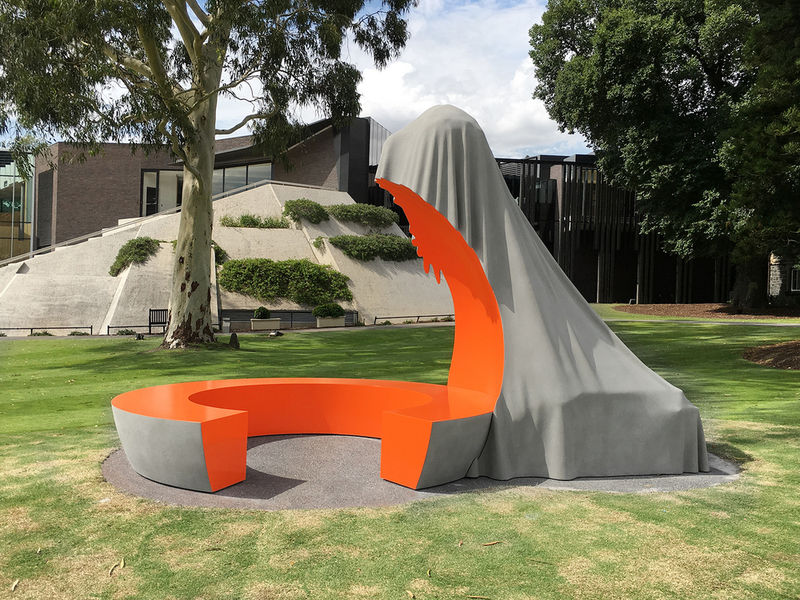 Cover up #18 forms the first part of Melbourne Grammar's new contemporary art sculpture walk.